Disclosure: I have an ongoing partnership with 313 Presents. The opinions expressed here are my own. 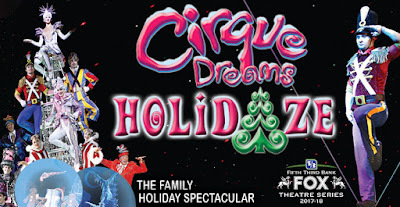 Cirque Dreams Holidaze is heading to the Fox Theatre in downtown Detroit for a three day engagement and you have the chance to WIN a 2-pack of tickets to the Friday, December 1st show at 7:30pm. One lucky winner will have the opportunity to win a 2-pack of tickets to the Friday, December 1st show at 7:30pm –hello amazing date night… am I right? 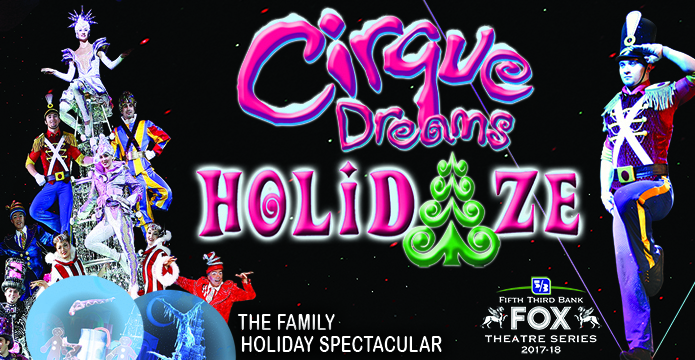 Cirque Dreams Holidaze lights up Detroit in 2017 at the Fox Theatre with its 10th anniversary national tour for five unforgettable performances Friday, December 1 through Sunday, December 3 as part of the Fifth Third Bank Fox Theatre Series. This critically-acclaimed holiday stage extravaganza is a Broadway musical, new cirque adventure and family show wrapped in one. Tickets (range $29-$69) are now on sale and can be purchased at 313presents.com, The Fox Theatre box office and Ticketmaster.com. To charge tickets by phone, call (800) 745-3000. For additional information, call (313) 471-6611. Series subscription packages and discounts for groups of 10+ are available by calling 313-471-3099. Enter to win via the widget below (Giveaway is also being ran on Instagram). Giveaway ends Saturday, November 11, and the winner will be notified via email the next day and have 24 hours to respond, or an alternate winner will be chosen. 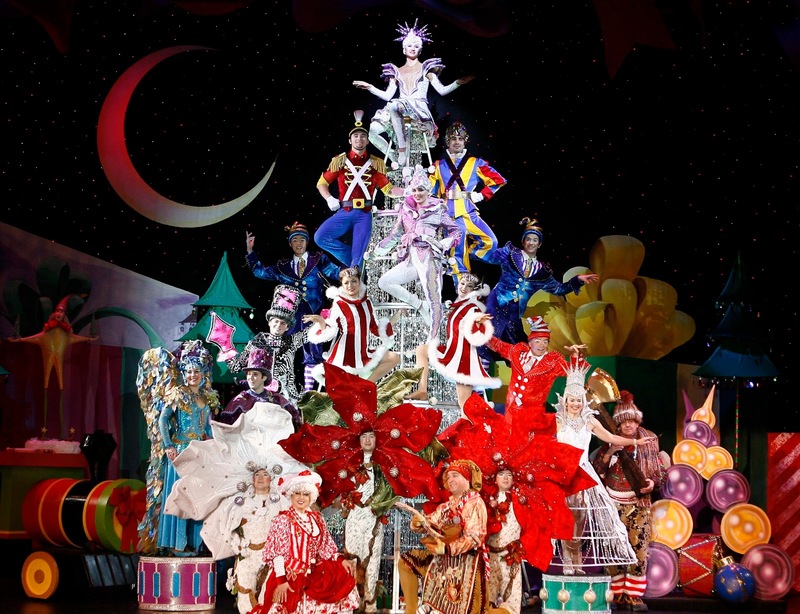 Winner will receive a 2-pack of tickets to the Friday, December 1st performance, 7:30pm at the Fox Theatre. Winner’s tickets will be available for pick up at the Fox Theatre Box Office the day of show. One of my favorite traditions is seeing the lights on Hines Drive! One of my favorite holiday traditions for MOST holidays all year around is when we play family party games that make all of us, of a range of ages, get laughing Sooo hard. But also another special one for the Christmas holidays for ME is that my birthday is on Christmas Day. 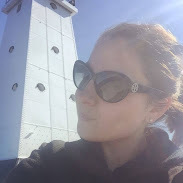 I love that my birthday is on Christmas and this year is extra special because it will be my 50th birthday and I've been wishing and dreaming to go to this specific show EVERY year that I knew it was in Detroit and still have been unable to get a chance to go so this would be an IDEAL christmas AND 50th birthday event for ME. One of my favorite holiday traditions is going to Holiday Nights at Greenfield Village! Christmas stockings for my children whom are now adults. My husband and I each open a gift we got for each other on Christmas Eve. We do our family Christmas with our extended family on Christmas Eve as well, so we go out for Chinese food on Christmas day with friends who don't have any family around. My favorite tradition is our christmas eve boxes!